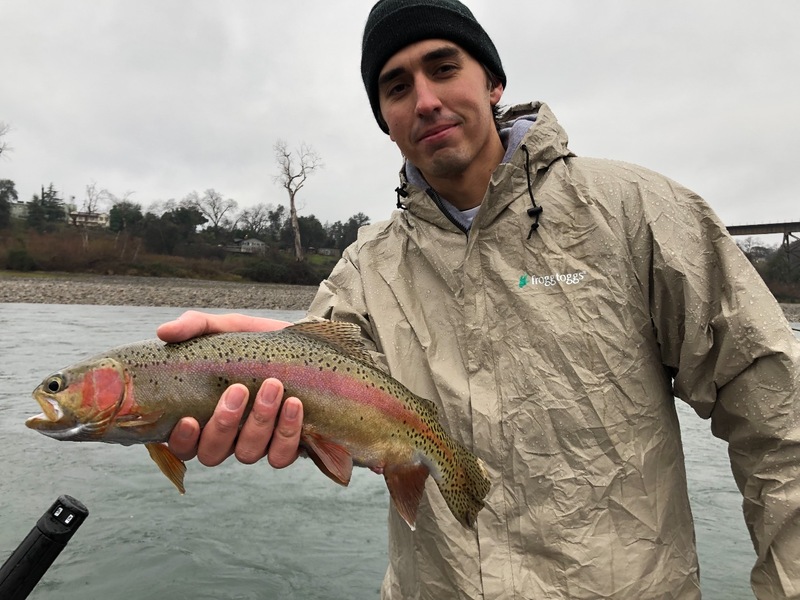 Sacramento River steelhead/trout fishing a great option right now! 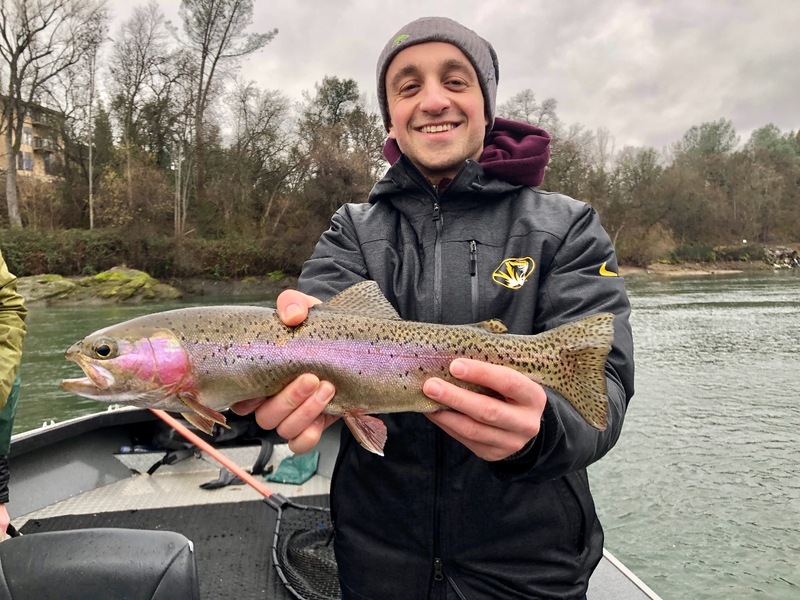 Spin or fly trips available year round here in Redding, Ca. 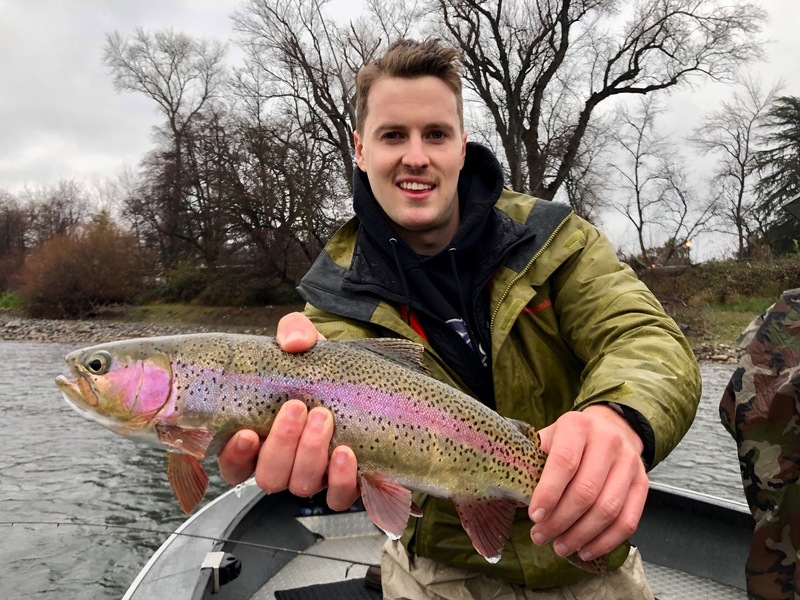 Today local guide, Justin Thompson, fished a group of six eager anglers on short notice for me today and as you can see in the pics, there were lots of smiles on the boat! 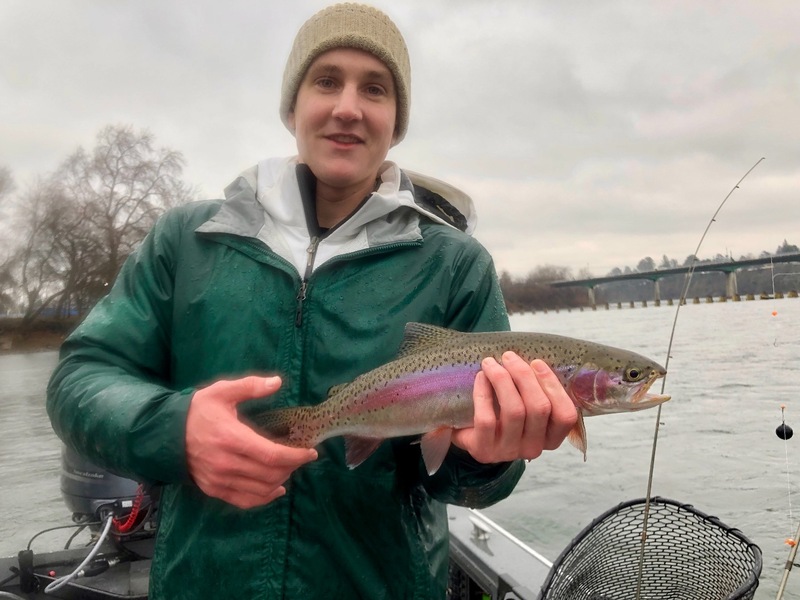 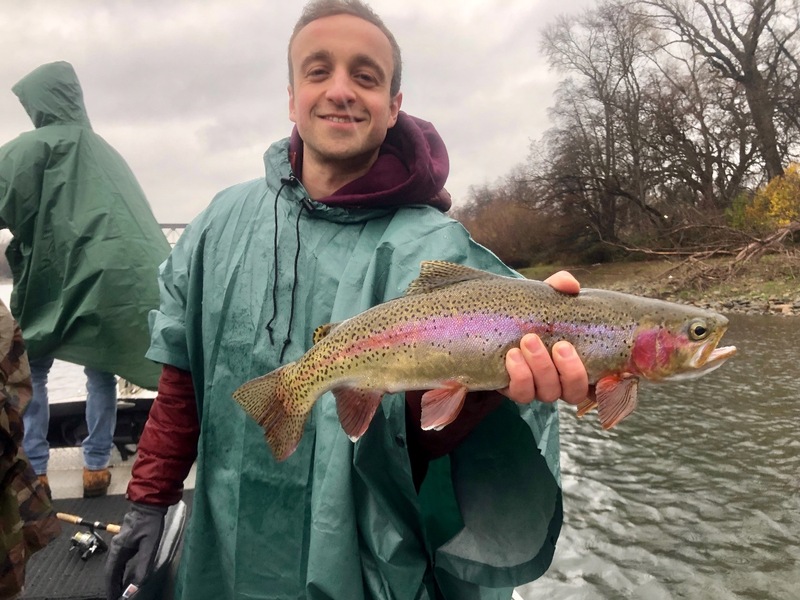 It was a nasty day everywhere around Redding today, but with skill and hard work our clients are having some great days on the water fishing with us! 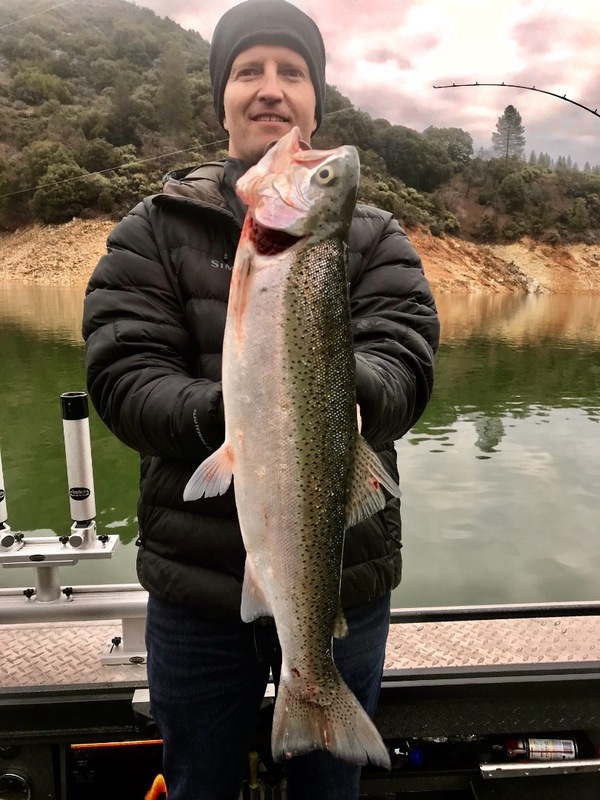 Sac River steelhead and trout trips are available year round and we're just about always able to put together a great trip for your group! 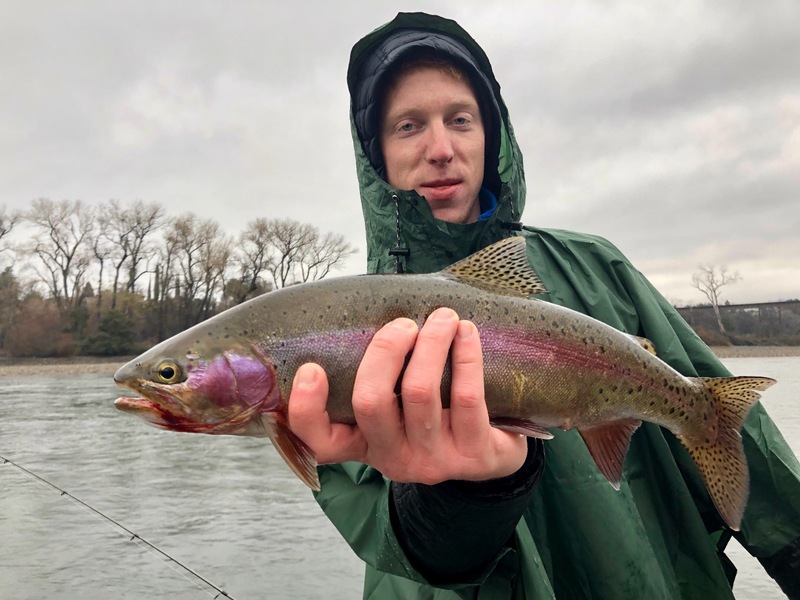 Give me a call anytime this year to set up your day of fishing on the Scaremento River! 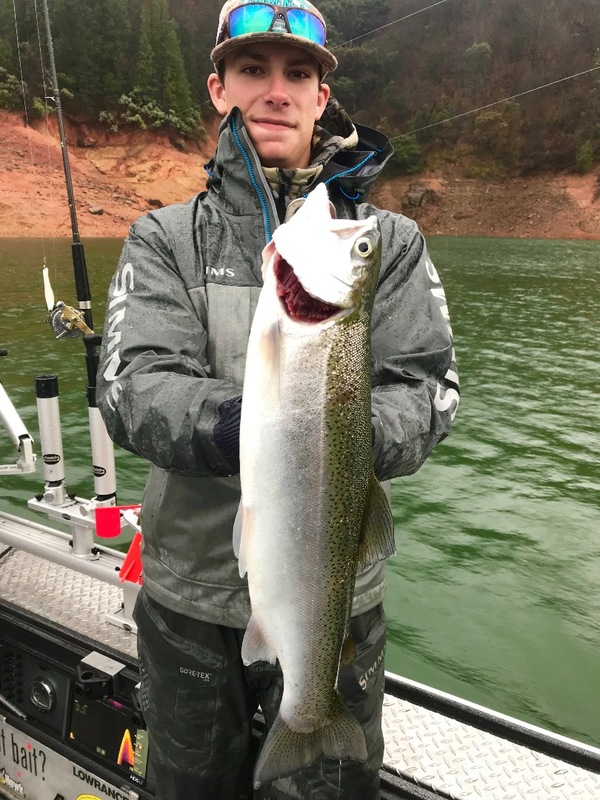 Big storm rainbows today on Shasta.